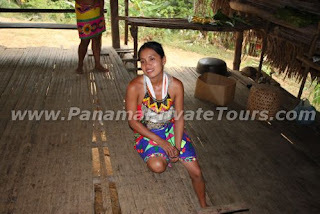 There is long story about the Embera Indians in Panama. 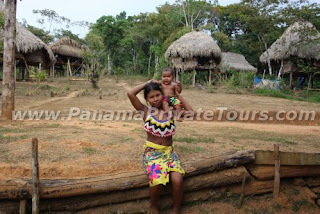 However, I will tell a short personal knowledge based on the 2 years I have been interacting with these Embera Indians of Panama. 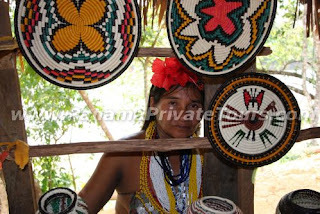 Embera Indians are 1 of the 7 ethnic groups based in the Republic of Panama. 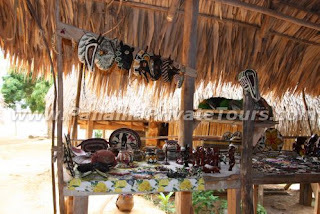 Among the Embera Village you will be able to tell that there are some mixed Embera Girls and they refer to it as "Enrrazado". 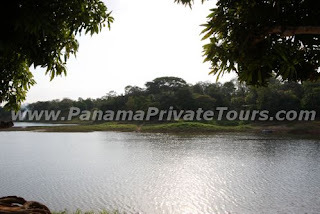 On the other hand there are various Embera Villages and Embera Tribe names. 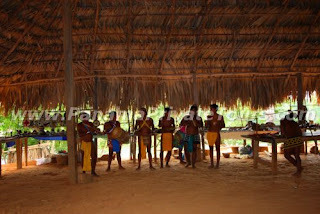 According to what I have experienced, Emberas are not really what they used to be (Hunters and Survivors). Now days, they actually live of tourism and get supplies from the City. They no longer use fabrics from trees to make clothing, use medicinal plants as the only medicinal resource or hunt animals to eat meat. 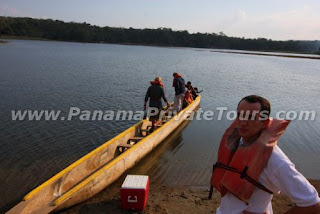 However, they still practice fishing and use plantain for the tourist. According to my Embera friend (Luis Sarco) who appears to be the grand son of the great Sarco, his grandfather was the Embera Indian that gave lessons to US astronauts before the first travel to the moon. Neil Armstrong and the rest of them still send post cards / pictures of those times to the Emberas. It is very impressive to see these black and white pictures of Sarco shaking hands with the US president at the White House. They also claim to have invented the power drill and the viagra pills but both were stolen ideas from them. Plans are also shown by them as well. 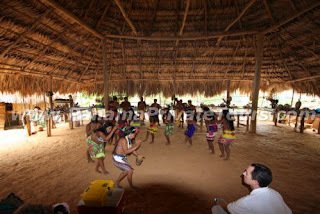 On my last trip we were received with an embera dance after crossing the beautiful embera river. 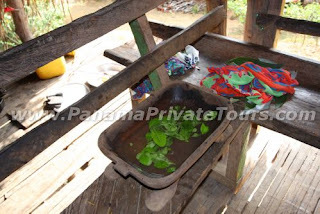 Here are a few pictures taken from my last Embera Tour to the Embera Village. My friend Diomedes giving me a ride "hidding the beer I gave"
Embera Soap! Lemon tree leaves and water!